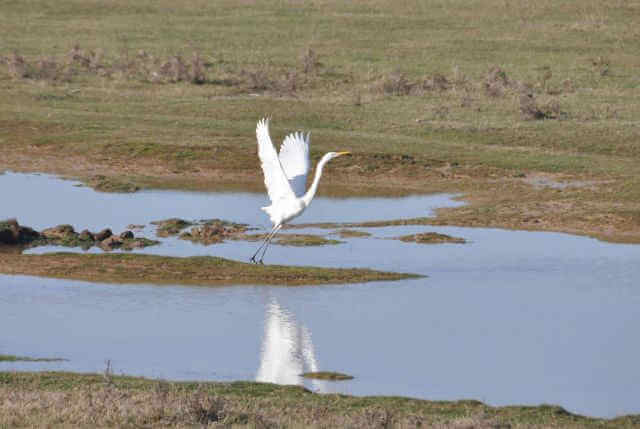 Experience the diversity of rare birds of Vistonida & Ismarida wetlands. Vistonida Lake is a complex of lagoons which belongs to the wetland of International Importance of the Ramsar Convention. Along with the Nestos river delta which stretches to the west, lakes Vistonida and Ismarida compose the Natural Park of Eastern Macedonia and Thrace. 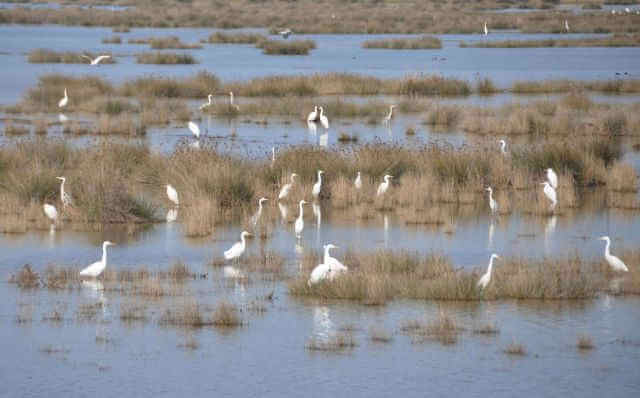 The wetland Vistonida – Porto Lagos is a vermiform as few others. The northern and southern shores of the lake are lines with reedy areas and tamarisk shrubs and with periodically flooded marshes of saline and fresh water. 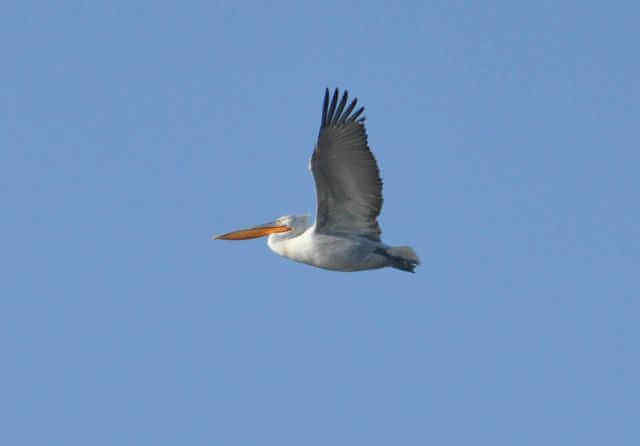 21 to 37 species of fish, depending on the season, that have been recorded in the lake attract about 300 bird species such as the Little Egret, the Flamingo, the Pelican, the Great White Egret and some of which are extremely rare as the White Headed Duck, the Pygmy Cormorant and the Lesser White Fronted Goose. 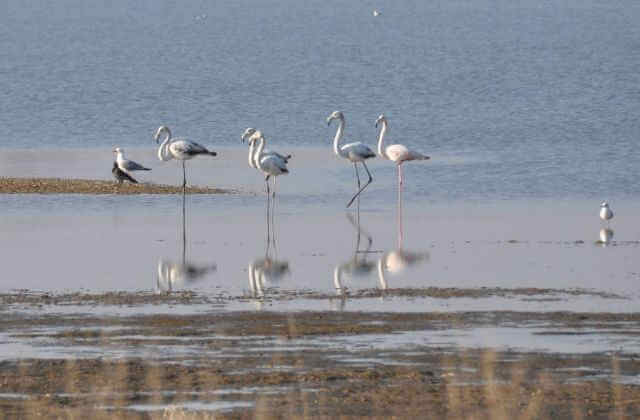 Early in the morning the tour begins alongside the Kosinthos River till its estuary at Vistonida Lake and set up the first bird watching point. You continue along the west side of the lake through reeds, tamarisks and salt meadows and reach the National Park Information Center of Porto Lagos. Afterwards, you head to the second bird watching point at the center of the lake near Agios Nikolaos church. 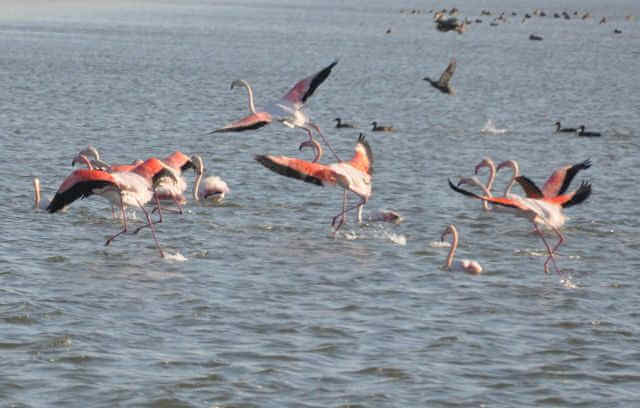 Then you follow the road to Fanari and stop sequentially at Xsirolimni, Aliki, Ptelea lagoons and you will arrive in the afternoon at Ismarida Lake which is the last bird watching point. After the sunset, you return having the option to stop for dinner at one of Porto Lagos’ traditional fish taverns.